Listen to songs from the upcoming CD! *Cover image photo: Courtesy Montana Panoramic . Outstanding landscape photographer, Craig Hergert. Here are tracks from the upcoming CD. It's been mastered by Grammy-winning engineer Mark Donahue at Sound Mirror; and then will be sent to duplication. Johnny Geib, of Home Studio Trainer.com, literally made this project possible with many phone calls and tireless expertise setting up the studio. Keep checking back for updates to find out when the CD will be released and where you can buy or download tracks. 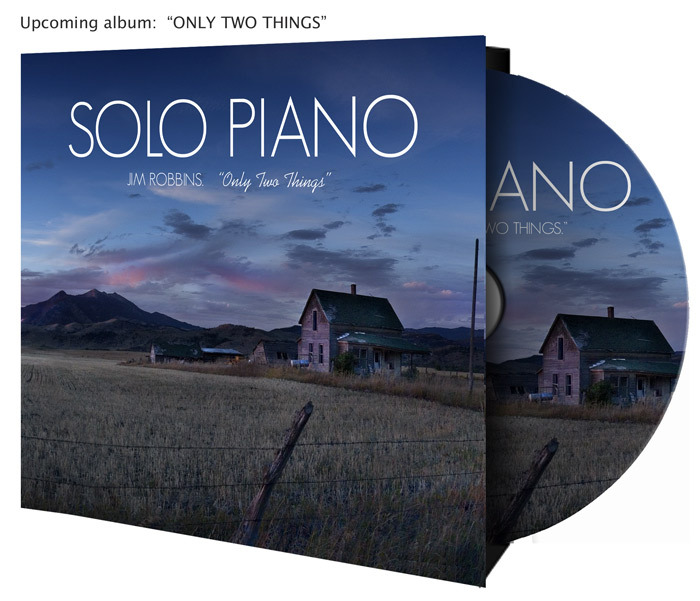 Posted on April 9, 2013 by Jim Robbins and tagged new cd "only two things" solo piano.